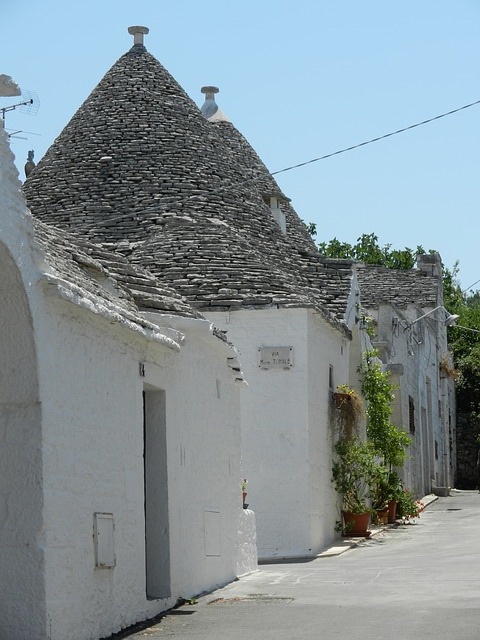 Alberobello is a small Italian town like any other at a first glance. The streets are narrow and hilly, houses are white, the weather is pleasant and life is slow. But if you take a closer look to some of the houses, you will think you landed in a fantasy book. Small houses with conical roofs are dotted everywhere around you. Upon closer investigation, you will find that these small dwarf houses are actually real and people still live in them. In case you have decided to see what a hobbit house could look like, you should go to Alberobello the land of dwarf houses is a small town in Puglia, a region in Southern Italy, not far from the city of Bari. 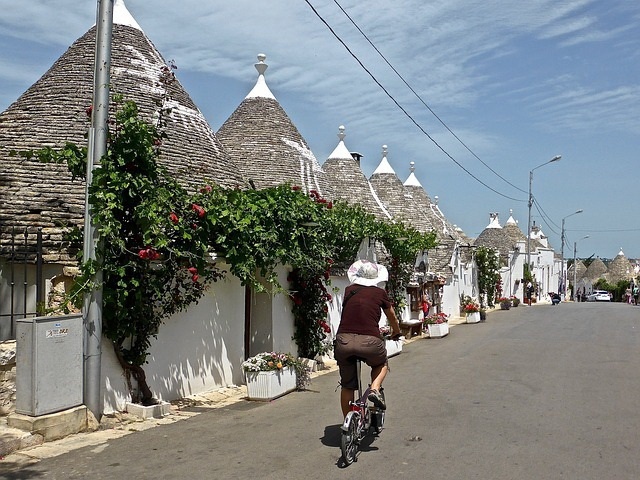 It is famous for its unique small historical houses called trullo (plural trulli). The name of the city originated from the medieval Latin name of the region “siva arboris belli” (The wood of the tree of war). Alberobello is a Unesco World Heritage site since 1996 thanks to the unique architectural and historical value of trulli houses. They are considered one of the best examples of vernacular architecture in Europe.